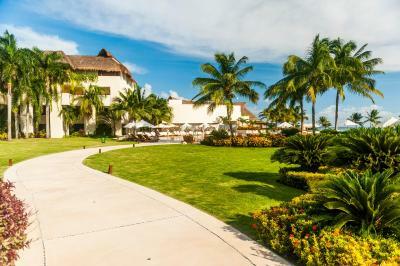 Lock in a great price for Grand Velas Riviera Maya - All Inclusive - rated 9.5 by recent guests. 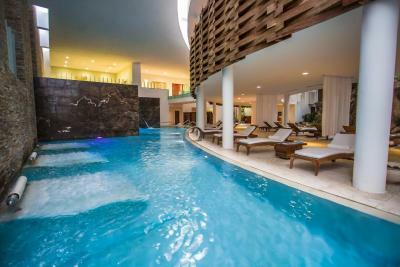 This is the best hotel in Mexico, of course it is a bit expensive! The staff always willing to help and make it the best experience! The food is unbeatable I recommend the "Cocina de Autor" restaurant! Everything! 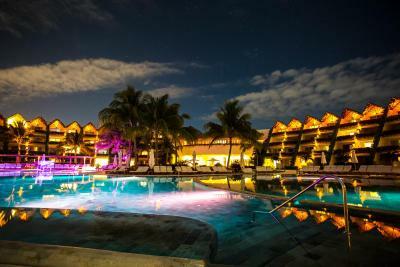 The restaurants are amazing, the service is fabulous, the pools are fantastic- all wonderful. Todo estuvo extraordinario, la atención es impresionantemente buena, y la gente que trabaja ahí es súper amable. La comida es extraordinaria! Food was great. Room and accommodations fantastic . Excelente todo! De esos lugares donde al irnos se nos caen lagrimas Cada detalle, cada empleado, cada rincón es perfecto. Prefiero generalizar porque si entro en detalles el comentario sería interminable, vale cada centavo que cuesta y más! Staff is extremely courteous and responsive! Spa was wonderful. Grounds are gorgeous. Os restaurantes a lá carte são excelentes, decoração maravilhosas e comidas também ! Nota 10 . É o grande diferencial do hotel . Everything! 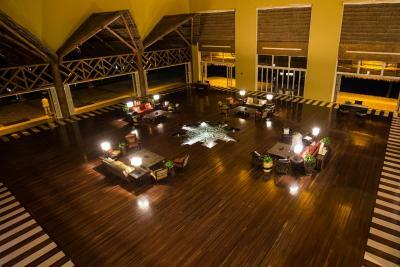 The place is gorgeous, the staff was amazingly kind and the location is just brilliant. 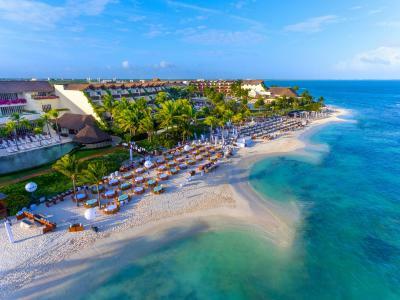 The All-inclusive is awesome, from the mini bar and room service, to the absolutely delightful restaurants that you can visit and dwell on the million options the have for a meal/dinner. You cannot help the overgrowth of seaweed where the sandbags use to counter beach erosion . 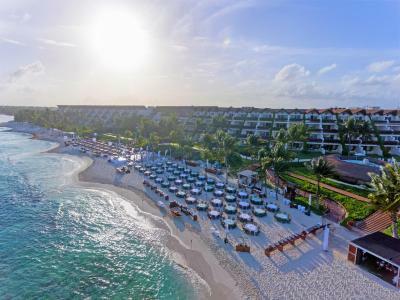 One of our top picks in Playa del Carmen.Offering amazing views of the Caribbean Sea, Grand Velas Riviera Maya is an luxury all-inclusive resort features a large outdoor pool, spa, 3 all-day restaurants, 5 gourmet dining venues and beautiful suites with private terraces. 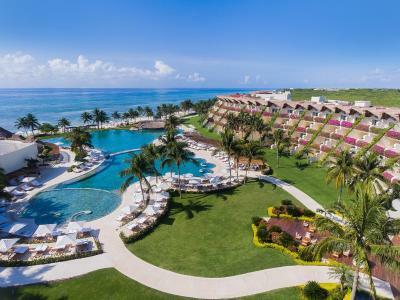 A 5-minute drive from central Playa del Carmen, the Grand Velas Riviera Maya is made up of 3 different sections, including a family area, a section for children over 12, plus a Zen-like area surrounded by a tropical setting. 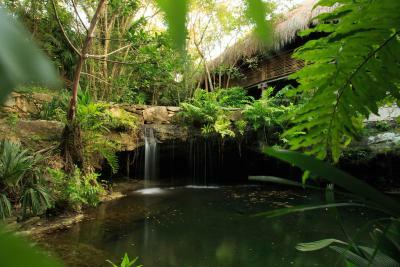 The resort is set in lush gardens. The spacious, air-conditioned suites at this AAA Five Diamond Award winner have free WiFi, minibar as well as a seating area with a sofa and flat-screen TV. All suites feature stylish décor with tiled floors, and include a Nespresso coffee maker and L'Occitan toiletries. The marbled bathrooms have walk-in glass showers and deep-soak hot tubs. 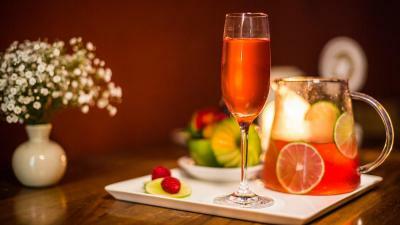 The Piaf Restaurant specializes in French cuisine, while Sen Lin offers Pan Asian dishes. 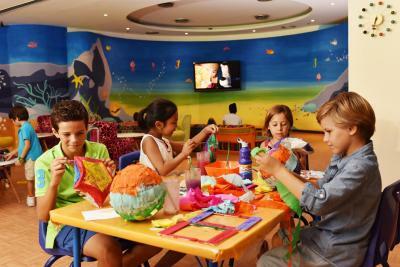 Frida Restaurant offers Mexican cuisine, while Italian and Spanish gourmet options are also available. 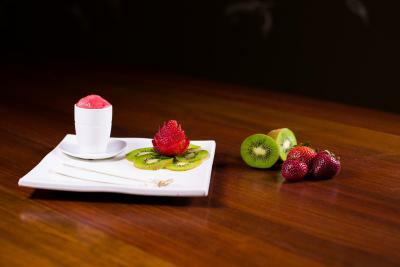 Cocina de Autor, a restaurant of contemporany, evolutionary and creative cuisine. Lighter meals can be enjoyed in the bistro and poolside restaurants. 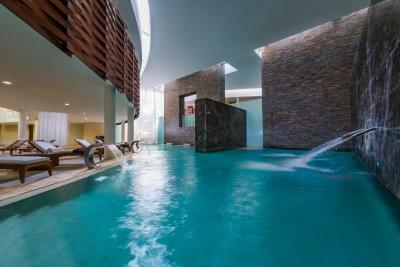 The Grand Velas’ spa features an indoor swimming pool and a range of whirlpool baths and saunas. 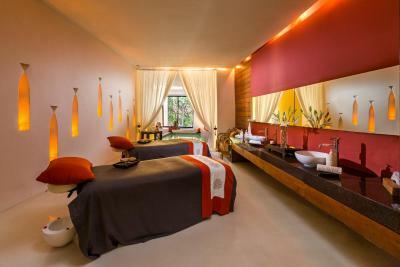 Treatments include massage, and traditional therapies. Concierge services are available 24/7, as well as gourmet room service. 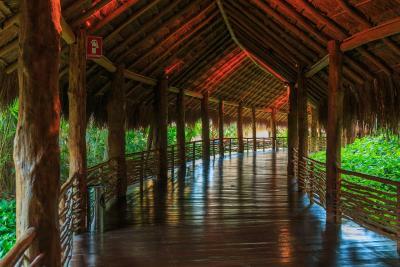 Cancún International Airport is a 35-minute drive from the Riviera Maya. 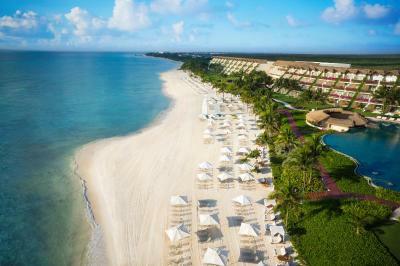 Grand Velas Riviera Maya - All Inclusive has been welcoming Booking.com guests since 11 Aug 2011. 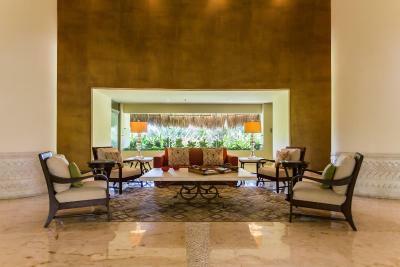 When would you like to stay at Grand Velas Riviera Maya - All Inclusive? 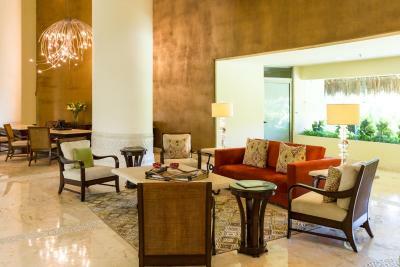 Set in the Zen Grand area, this luxurious suite overlooks the hotel's attractive gardens. 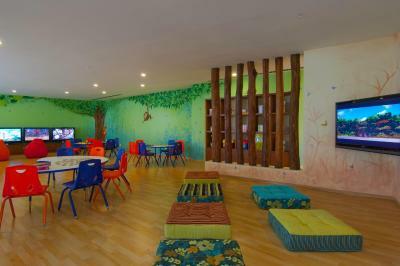 It has a terrace and either 2 queen-sized beds or a king-size bed. Please note that this room type is located 1 km from the beach. Free transportation is provided. Set in the Zen Grand area, this suite features a private pool and a terrace offering garden views. It has either 2 queen-size beds or a king-size bed. Set in the Zen Grand area, this suite features a terrace offering garden views. It has either 2 queen-size beds or a king-size bed. each day. 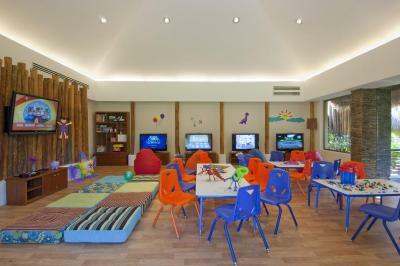 Maximum occupancy: 3 adults, or 2 adults, 2 children and one infant age 0-36 months. Children are allowed in this room. 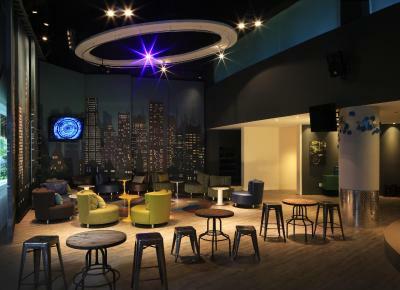 mini bar, without limits!Maximum occupancy: 3 adults, or 2 adults, 2 children and one infant age 0-36 months. 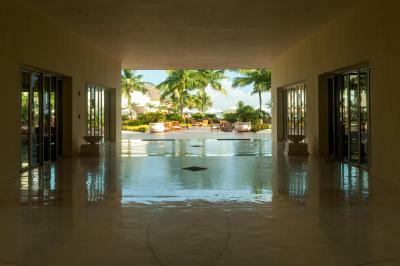 House rules Grand Velas Riviera Maya - All Inclusive takes special requests - add in the next step! 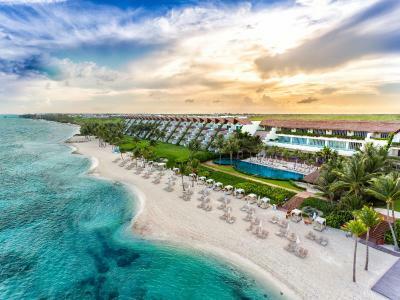 Grand Velas Riviera Maya - All Inclusive accepts these cards and reserves the right to temporarily hold an amount prior to arrival. Piaf – French cuisine – A la carte fine dining for ages 12 and over in selected seatings. Please note that reservations and dress code are required for Gourmet Restaurants: no shorts, sleeveless t-shirts, trainers or sandal. 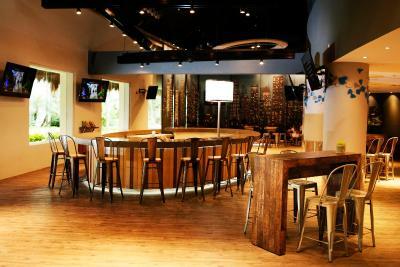 All restaurants and inside bars require appropriate attire for admittance and no bare feet or wet clothing. Please note that some rooms are located about 0.6 miles from the beach. There is an additional nightly charge to guarantee connecting rooms. Payment has to be made directly at the property upon arrival. 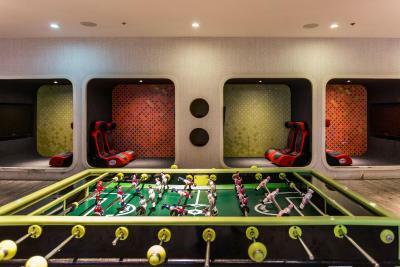 Connecting rooms are subject to availability. 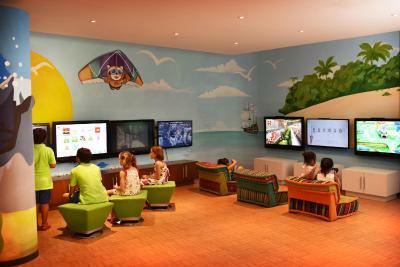 New Year's Eve gala dinner fee for children and teens is not included in the room price. The live music during dinners at Cocina de Autor, Sen Lin, and Piaf was pretty cheesy (think clarinets playing Sweet Child of Mine and harps playing the theme from Titanic). The quality of the food, service, and rest of the environs more than made up for it, but management should consider better live options (chill jazz would suffice) or curated playlists. For the money, I expected a slightly better beverage program. The liquor choices are very good, but having cocktail menus (and, preferably, different menus for different bars) at areas other than the beach service bar would be nice, and a tiki bar on the beach would be amazing. In the end, I sipped mostly straight tequila (all great stuff). So, some small areas for improvement, but we absolutely loved our stay overall. 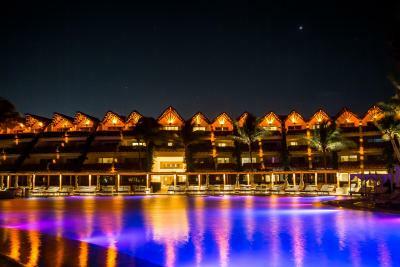 Grand Velas Riveria Maya has fantastic facilities all around, with gorgeous pools and the best beach area I've ever visited. 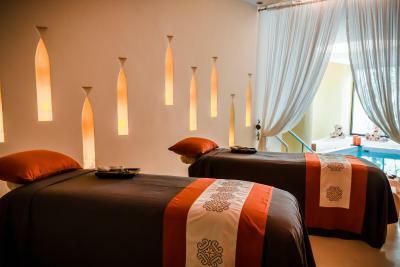 The service was impeccable (shout-outs to Bayron in the Zen Grand; Jorge, Ana, and Omar at Chaka, & Dafne and Alexander at the beach, who each went above and beyond), and we felt pampered and at ease for the entirety of our stay. The only spa service we booked was the water ceremony, but it was amazing, and we would've gladly stayed twice as long as we did (about 2 hours) but for our dinner plans. The main reason we chose this resort over other all-inclusive options in PDC, Tulum, and Cancun was the food's reputation, and it was absolutely the right choice. Breakfasts at Chaka and lunches at Azul were amazing, and our dinners (2x Cocina de Autor, Piaf, and Sen Lin) were truly great, too. 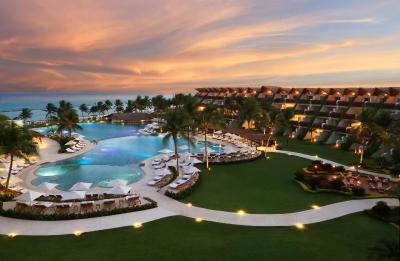 Next time we do all-inclusive, this place is a no-brainer. 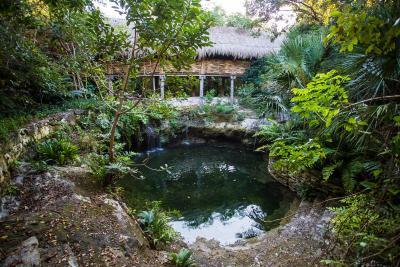 Taking everything into account, though, it will be difficult to visit any other property in the area, despite the fact that we love exploring areas outside of resorts and having dozens of dining and drinking options. 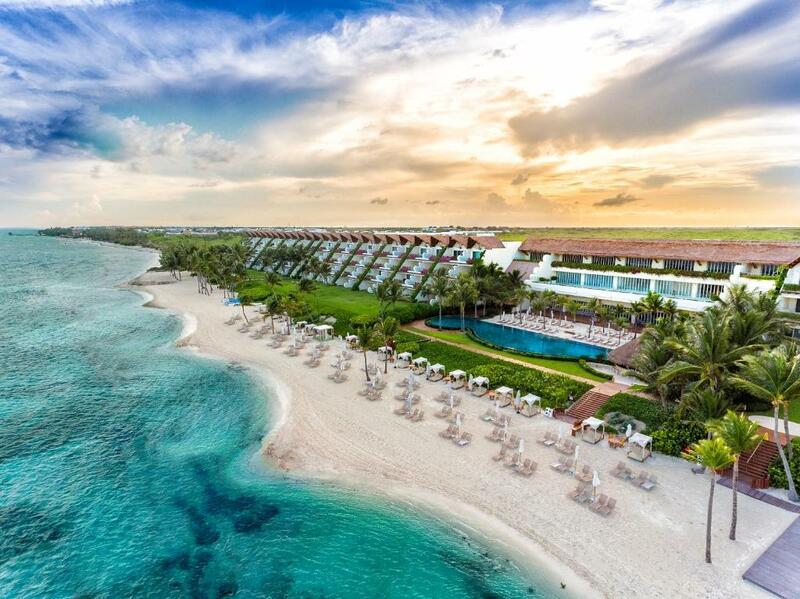 The overall experience offered by Grand Velas is second-to-none, and we'll be looking forward to visiting again as soon as possible. 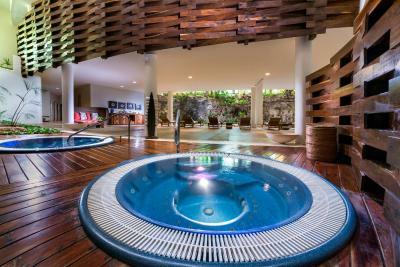 Give guests the ability to run jets/pumps on the plunge pools. The beach was very Rocky and it had a lot of weed on the shore. It didn't had anything to do with the hotel, it's more of an environmental issue, however it do affects the experience a little bit. Staff is very friendly and well trained. 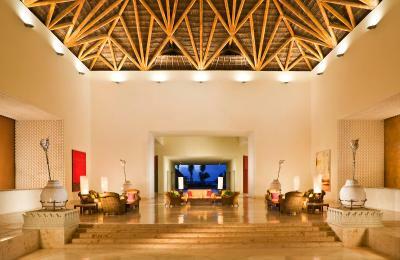 On a very minor point, We would like to have more Mexican influence in decor and feel of the Resort. 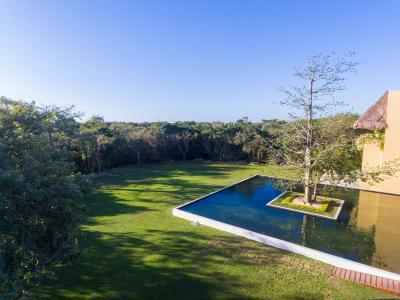 It is an exceptional property. We had an amazing time, however we would have like to have heard Mexican music playing and not American "oldies". Overall an absolutely stunning Resort. 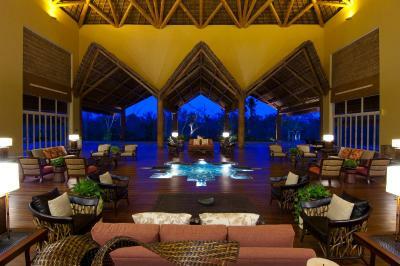 My husband operates two Forbes 5 star resorts and we chose Grand Velas for our personal vacation. 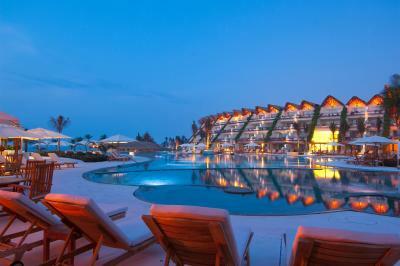 It far exceeded expectations and is, in fact, one of the best resorts we have ever experienced. 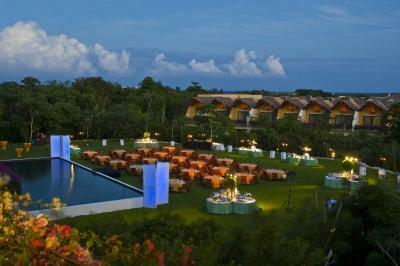 The food and service were extraordinary and of course, the property itself is incredibly beautiful. 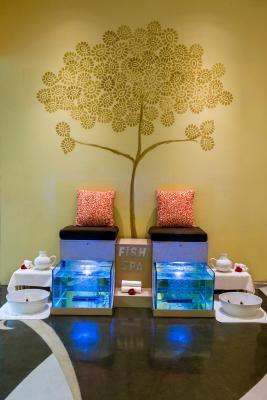 We spent a good bit of time in the spa as well and it was a fabulous experience. 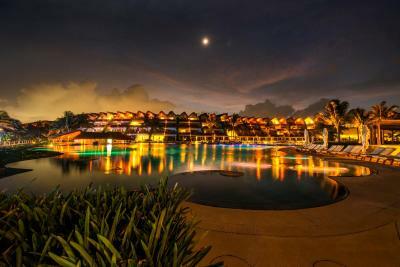 While the resort is expensive, it is worth every penny and more. 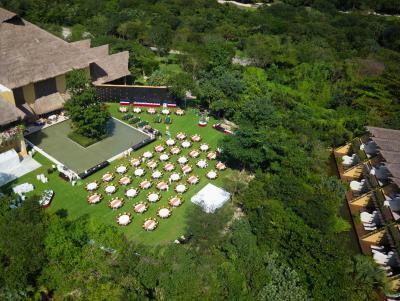 This is a property not to be missed for the luxury traveler or anyone celebrating a special occasion or someone wanting a memorable trip to think about for the rest of your life. Almost everything was perfect. We suggest that they do not charge extra for the stand up paddle boards when it is an all inclusive setting. We understand an extra charge for the jet skis and sailing. 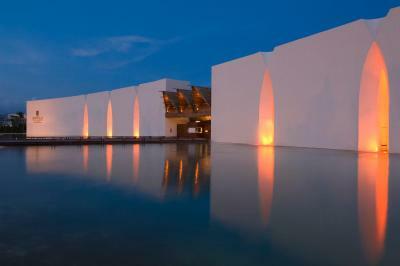 The staff was excellent at Grand Velas. Our concierge, Edgar, was very friendly and helpful. He always had a smile for us, was very present and able to help us with anything that we needed. The restaurants had fabulous food and great service. Our waiters Isaac and Virgilo at Azul and our waiter Cesar from Yucatan at Cocina del Autor were fantastic. Each night the turn down service was friendly and made sure that we had everything that we needed. 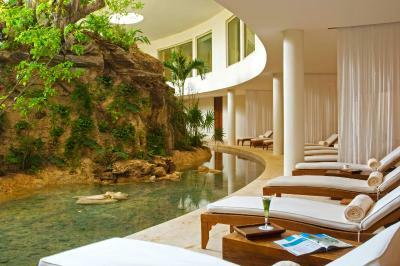 We would highly recommend Grand Velas Resort.